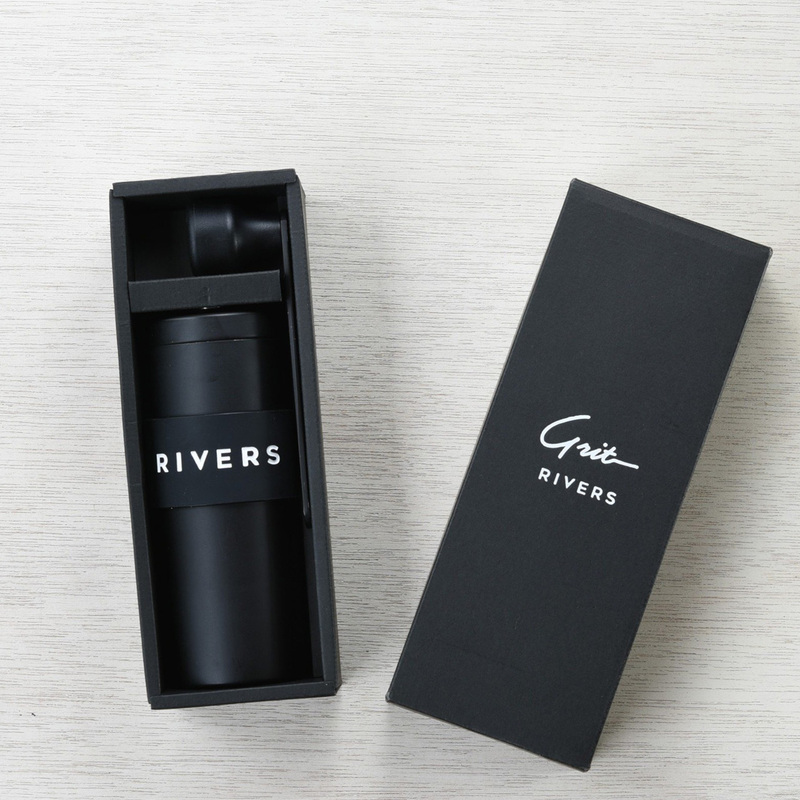 Designed by ex-porlex engineers, the beautiful matte black Rivers hand ceramic grinder offers high quality, consistent grinds in an ultra-compact size. 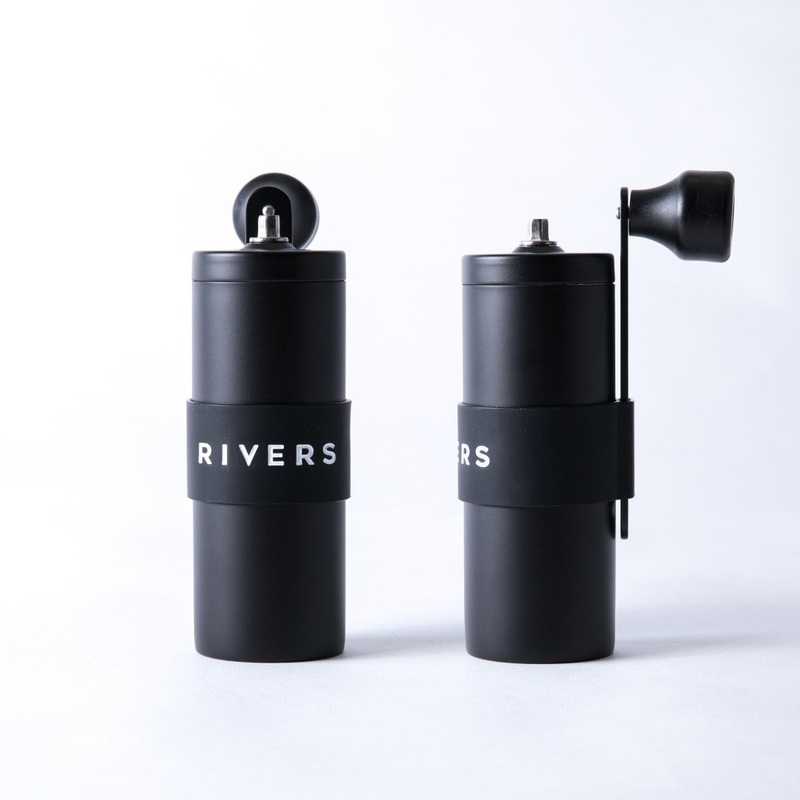 High-quality ceramic burrs: Don't let the size fool you. The Grit has been meticulously engineered to offer a superior grind consistency by having fixed the upper burrs. The burrs are made of a durable, rust-resistant ceramic that give off minimal heat in order to preserve the natural flavours of the coffee. 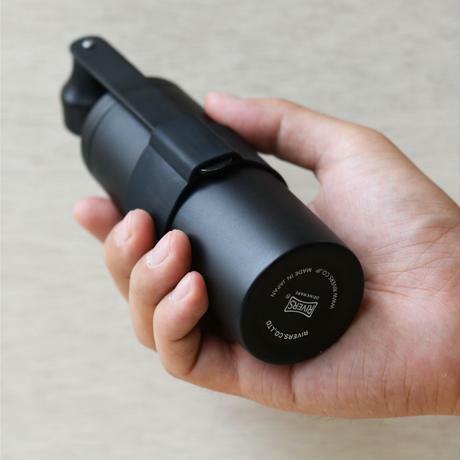 Silicone band:The band serves a double purpose of providing a strong grip on the grinder and storing the handle when it's not in use.